Many residents in Lapeer County, Michigan prefer to own their own water well as opposed to relying on a utility company. One of the main reasons homeowners choose this option is because they are are in control of their own water source. However, with that control comes the responsibility of maintenance. Here are 3 telltale signs that your water well is in need of maintenance. If you notice any of these problems occurring in your home, it’s best to address them right away before regular maintenance turns into costly repairs. As a Lapeer County homeowner, you have probably noticed rings in your bathtub from time to time. Typically these rings are caused by a build-up of soap and other shower products – regardless of your water source. But if you own a water well and you are experiencing this type of discoloration in your tub, it could actually be a result of minerals in the water, such as calcium, iron or magnesium. Although a good scrub can remove these unsightly stains, the root cause of the water build-up needs to be addressed before it develops into a more serious issue. Contact a Lapeer County well maintenance company to adjust your filter system and water softener. This will prevent further minerals from getting through your plumbing. 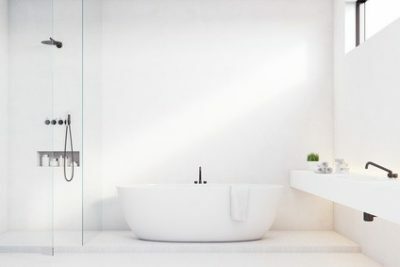 Similar to bathtub rings, you may have also noticed stubborn white stains or scaling around your faucets as a result of excess minerals in your water. Although these minerals aren’t necessarily harmful to your body, it will cause staining and scaling around your plumbing fixtures. And if you allow the problem to escalate, minerals can also accumulate on the inside your plumbing causing an even bigger problem – clogged pipes. Rather than let it get to this point, schedule a regular maintenance program with a Lapeer County water well company. Whether you are using water, for cooking, drinking, showering or cleaning, foul-smelling water is never a pleasant experience. If you find that your water starts to smell like sulfur, this is a result of bacteria in the water giving off gases that cause the unpleasant odor. Although this doesn’t pose an immediate health threat, it can be, however, rather off-putting. Removing sulfur from your water does more than just improve the smell and taste of your water. Maintenance treatments can prevent your silverware from tarnishing and keep your laundry smelling fresh. If you notice any of these 3 signs, time is of the essence before basic maintenance develops into more serious repairs. 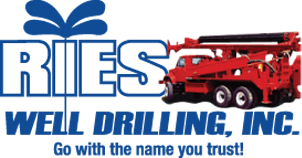 The good news is all you have to do is contact a water well maintenance company such as Ries Well Drilling. We provide water well installation, repair, and maintenance services in Lapeer County, Macomb County, Oakland County and St Clair County.